This year has been pretty amazing in case of smartphones with many ups and downs, many product releases and breathtaking smartphones. 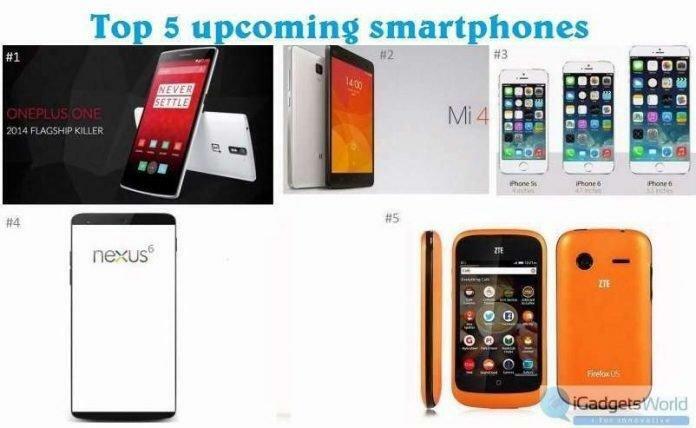 This is al about Top 5 upcoming smartphones that people are eagerly waiting for. This year we have seen a lot of changes in the smartphone world- Samsung continues to dominate the world, Apple fights to get the first position, Xiaomi beats LG to be the 5th largest smartphone maker in the world. But we are also expecting a lot more to come, most smartphone freaks are waiting for some upcoming handsets very eagerly and the wait seems like never ending. At present, some of the best smartphones are about to launch. So, we thought of picking up the top 5 of them which are being waited for, now for almost a few months. So, here goes the list. 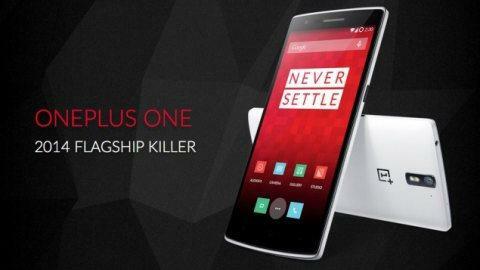 This phone is already been taken as Flagship Killer of 2014. And the good news is that it was confirmed that the phone will be arriving at India very soon. And this deserves to be called like that with features like a 5.5-inch LTPS IPS display with 1080×1920 pixels resolution, a 2.3GHz Qualcomm Snapdragon 801 processor with 3GB of RAM, a 13MP rear camera, a 5MP front facing camera and it runs on Android 4.4 KitKat in the form of a customized version of CyanogenMod ROM called CM 11S. We think its pretty amazing and it is also expected to come in a budget friendly price. Let’s see what happens next. 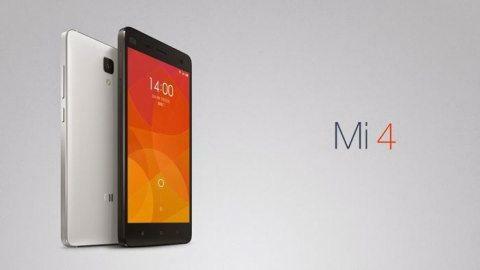 Xiaomi launched their first phone in India, the Mi3 and it is just selling like hot cakes. And after that grand success, right after one week of Mi3 launch, they announced that they are going to bring Mi4 very soon. And many people are now waiting for the Mi4 launch instead of buying Mi3. It features a 2.5GHz Qualcomm Snapdragon 801 quad-core processor along with 3GB of RAM, 16GB and 64GB storage options, a 13MP rear and 8MP front cameras with Sony sensors, a 3080mAHh battery and will run on Android 4.4 with MIUI 6 on top of it. Well, the features are just mind blowing like every Xiaomi phone, and hope it to arrive soon so that we can get our hands on the second Xiaomi device in India. The most anticipated and probably the most innovative smartphone till now in history, Steve Jobs reinvented the iPhone as a combination of an iPod, Phone and an internet communicator device and now here comes the latest one from Apple. At first there were some news that there will be three sizes available for the iPhone 6, but now, it narrowed down to two- one having a 4 inches screen and another with 4.7 inches. There have been various different assumptions and rumors about this gadget so we are not taking any risk to mislead our readers and fans by posting them, though we will keep you informed as soon as we get the details. Every time a Nexus is launched by Google, people try to get it at the earliest just because of its uniqueness and powerful configuration with great features. 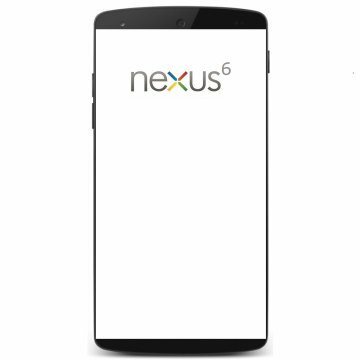 The last Nexus launched, Nexus 5 vwas a hit and here comes the next one- Nexus 6. And according to various sources the phone is powered by a Snapdragon 805 chipset along with 3GB of RAM, a 13MP camera, a 5.5 or a 5.9 inch full HD display and, of course, the upcoming Android L update, which is the most essential point you should remember because it may be one of the earliest handsets to get the Android L, as its purely a Google Gadget. Here we speak about innovation and innovative devices and this is one of them. If you wanna taste something new, and also want something which fits your budget you should definitely go with this one. This will cost as low as Rs. 2000, which is really affordable. You get some of your favorite apps like Facebook, twitter and a few more and you can stand out in the crowd with this gadget. 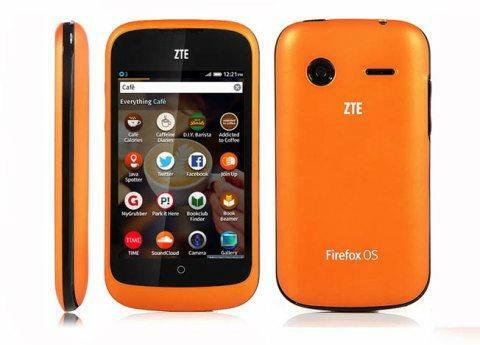 This is expected to launch in India before Diwali, as Spice announced. So, this was our list of Top 5 upcoming smartphones in India. Check out our other Top 5 lists to know more cool stuffs and get the latest updates. 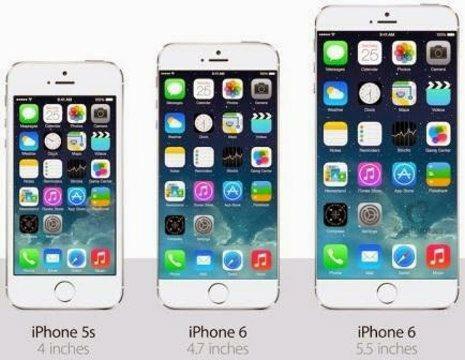 Which phone are you waiting for? Let us know in the comments section below.